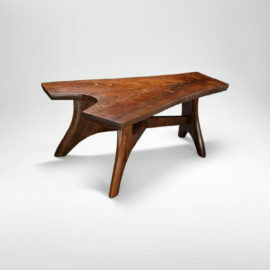 This live edge coffee table top was cut from a crotch of a walnut tree, where the base of the this tree, the bole, forks into two branches. The figure or pattern of grain is almost always highly patterned and revered by furniture makers. 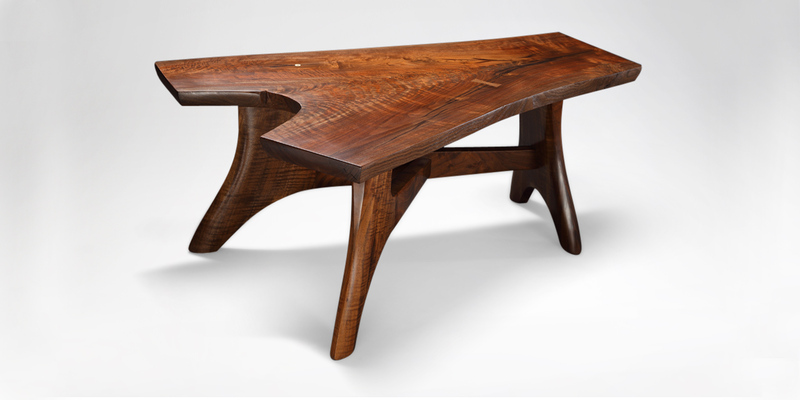 The base of the table is a variation of a style that Ferd Schleiman created in the 1960’s.